THINK YOU CAN'T AFFORD A SEASIDE GETAWAY? THINK AGAIN! 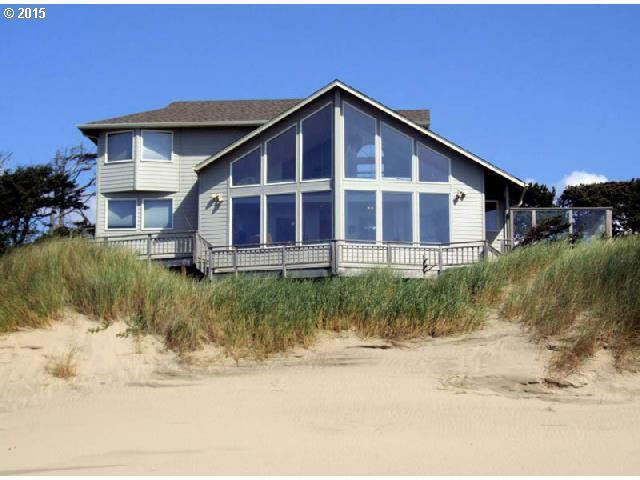 50% OWNERSHIP in a gorgeous beach front vacation home, just steps to sand. 2-story wall of windows immerses you in amazing ocean views from nearly every room, even the shower! Plenty of space to share in 2 BR/2 BA plus loft area. Fully furnished; ready for your beach vacation getaways. Brand new roof 2019. Deck railings lower for unobstructed ocean views. Make your dreams a reality!